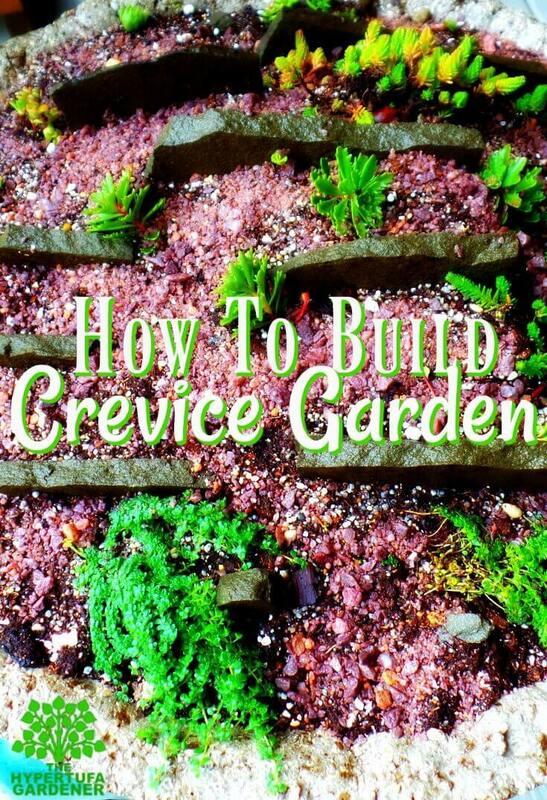 Building a crevice garden is just like planting any other garden. Choosing your plants should be easy if you have an idea of what you want and can harvest cuttings or root pickings from your other containers. 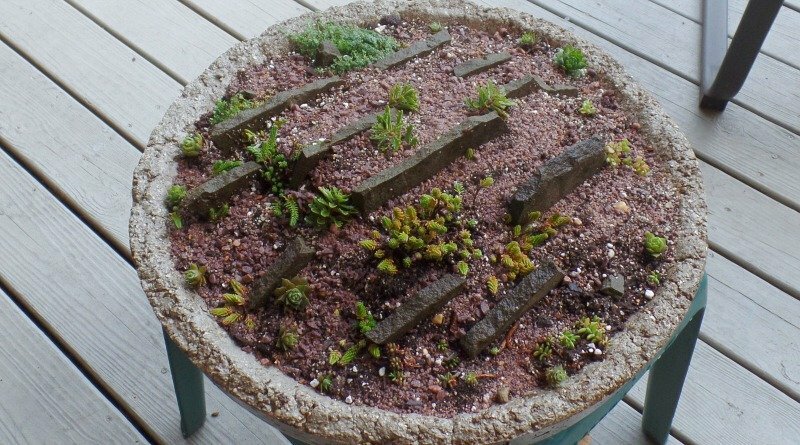 In Part One, I showed how I made this large shallow hypertufa dish and now we get to plant it up! As I explained previously, I will plant this crevice garden with my small succulents and a handful of rocks. I think these flat stones that I have broken up are slate, but any rocks that you have available that you can stand on end or side to give an upright angle for your plants to nestle into a “crevice” will work. If you have seen a weed growing up through your pavers or flagstone paths, you have seen a crevice garden. Basically a plant grows in that small crevice, pushing its roots deep under the stone but the leaves stay above that crevice, high and dry, reaching toward the light. Those alpine plants and succulents which like to stay dry are perfect for this type of garden. I planned to put some dianthus or pinks in my crevice garden, but there were so many pots to search through, I couldn’t find them. 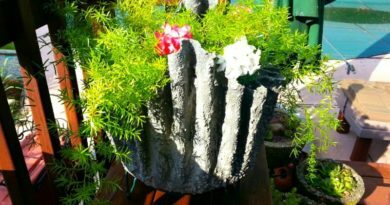 I know I had some in a rectangular hypertufa pot, but when I found those, I couldn’t find any dianthus growing. Did it die out? Is it buried in a bushy succulent? ( I wanted to run to the garden center, but that particular day was a Sunday and it wouldn’t open until noon and I was getting this done in the late morning. Guess I just have to make another one? LOL! 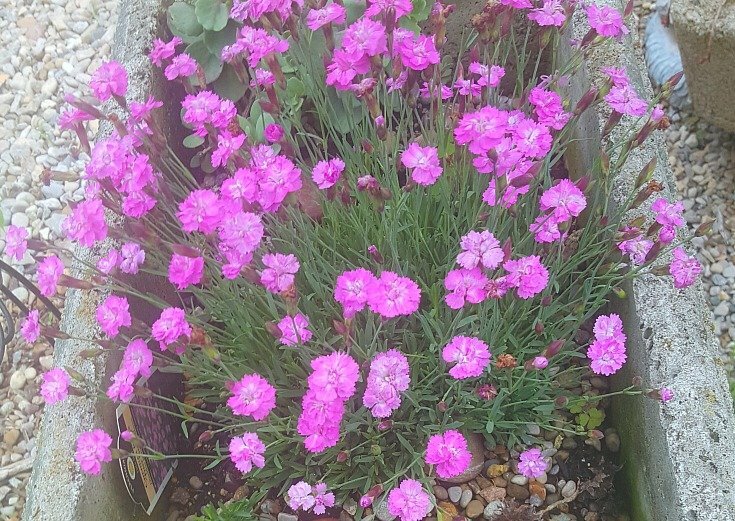 I think I would want this tiny miniature dianthus anyway. It would suit this round shallow bowl better anyway, right? Hopefully I can find some soon and get it planted quickly. In order to grow these drought-tolerant plants, we put the stones in layers with crevices between them. If I were building a regular and large crevice garden, I would place my flat large rocks toward the center and then fan out and put smaller layers of rock upright between each other. The catch is that the rocks are put in vertically instead of horizontally. So not the stair steps, but a sideways layering of the rocks with small crevices between. Suitable plants would be placed in those crevices to make a pleasing landscape. I am doing this “in miniature” inside a hypertufa bowl. 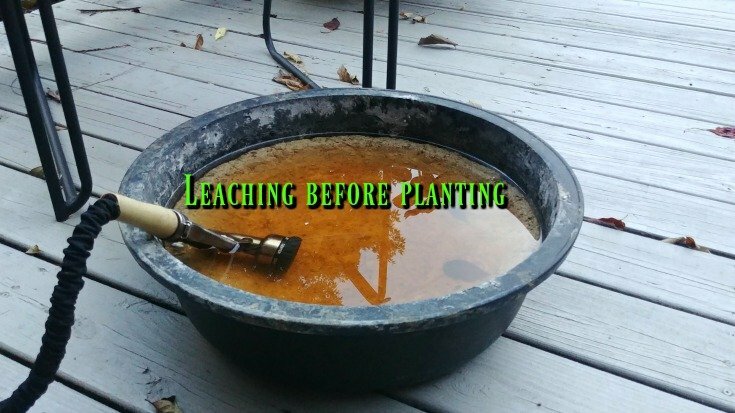 As you see in the video, I am laying the rocks sideways across the pot, and I do believe that I could squeeze in a few more long pieces of rock. I think it would still look great. Would you squeeze in more? 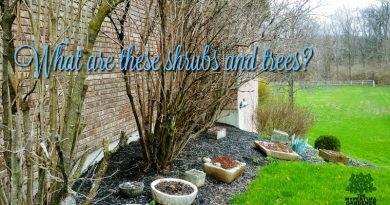 Watch the videos, both Part One and this Part Two and you will soon want to get set building a crevice garden for yourself. I am already planning another one. 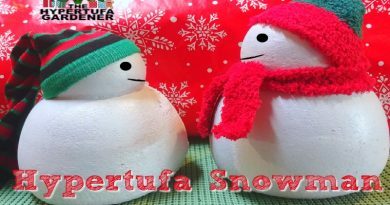 ← How About Making A Hypertufa Crevice Garden?